Joe Gorton CMHC is an empathetic, effective, and motivated therapist. He is experienced with a broad range of mental and behavioral disorders specifically with addiction. Joe has seen first hand the destructive nature of those affected by the opioid crisis and trauma. He has worked in many levels in the social work field and has been the Clinical Director at some of Utah's most prestigious recovery treatment centers. He is the CEO of Stepstone Connect which provides online counseling to ... See More clients all over the nation. Other career highlights have surrounded presenting at the Salt Lake Comic Convention in regards to the psychology of Batman and other nerdy ventures. Mike Higginsstarted working in the film community and after creating documentaries for local non-profits and meeting therapists and social workers he was inspired to go back to school and received a master's degree in Social Work. He is now a healthcare social worker with 12 years experience in various settings specializing in substance abuse, inpatient therapy and crisis management. 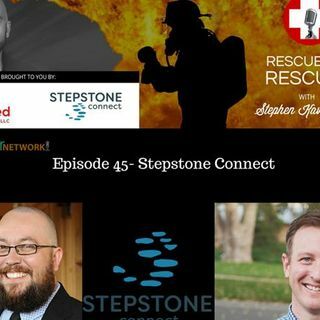 He recently helped start Stepstone Connect to address the missing piece of the mental health to provide quality care which is access. Stepstone Connect provides online therapy access to anyone, anywhere. Mike is also certified in EMDR and is trained as a Gottman Level 1 therapist in couples counseling.